How far can tech steer business traveller behaviour and safety? Where there are rules, there are always those who try to break, ignore or circumvent them. Business travel is no different. Rogue business travellers - those who book on their own and tend to flaunt the 'rules' - are causing serious concern for travel managers. Travellers who book out of policy contribute to a lack of visibility for their company, which has serious implications for both travel spend and Duty of Care. What drives corporate travellers to make specific travel decisions is a significant focus for FCM Travel Solutions. It’s all to do with behavioural economics. Behavioural economics explores how people make decisions about what they buy, how much they are willing to pay for a product or service, and what factors drive these decisions. Business travellers lead demanding, time-poor lifestyles. If they book outside of their company travel policy, it's not necessarily because they want to enjoy the frills of flying business class or earn more hotel loyalty points. It could just be that they feel burnt out and need a good night's sleep on a long-haul flight or prefer a hotel where they know they can order decent room service, rather than sit alone at the bar in the evening. By understanding behavioural economics, subtle changes to travel policies can 'nudge' travellers, encouraging them to make cost- and time-effective choices. According to a recent study by the Global Business Travel Association (GBTA), in partnership with SAP Concur, travellers have high expectations of their organisation when it comes to safety. For example, the majority of travellers expect their organisation to contact them within two hours of an emergency. But, how can a company actively communicate with the traveller if they don’t know where the traveller is because he or she has booked outside corporate channels? Nearly half (45%) of business travellers surveyed by the GBTA said the only way for their organisation to know where they had travelled was through their expense report. While expense data may give travel programmes spend visibility after the trip has occurred, it won’t necessarily help when the traveller has safety concerns during their trip. More than one-third (38%) of companies expect travellers to manually forward their itinerary to someone within their organisation. That is not a complete solution either. Travellers easily forget to share their itinerary, and travel plans often change at the last minute. During the last four years, FCM Travel Solutions together with GBTA and SAP Concur have looked at where technology can play a role in traveller booking behaviour and in keeping travellers safe. For a company-provided travel app, businesses rate efficiency and practical elements as most important. However, traveller safety is another top priority. • Travel safety alerts (72%). New technology, such as Artificial Intelligence and chatbots, are improving these features. FCM’s Smart Assistant for Mobile (SAM), for example, assists business travellers before, during, and post-trip. 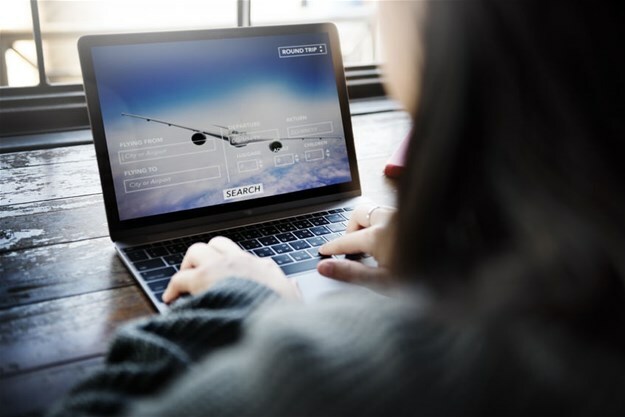 Travellers desire an efficient booking experience that is personalised to their needs and personalisation has been a hot topic in travel in recent years. If certain features, such as air and hotel bookings; flight updates, local city and country information, weather reports and restaurant suggestions, security notifications, etc., are missing from a company tool, travellers are likely to book elsewhere, which can lead to significant challenges, not only in maintaining savings from negotiated rates, but capturing traveller data and fulfilling traveller safety responsibilities. The pace of evolution in mobile and smartphone technology is relentless, and tech-savvy business travellers are already feeling the urge to use other consumer apps for booking flights and hotels, bypassing their TMC. Business travel is about people, and TMC's and their approach should be about blending the latest technology with personal service. In 2019, finding solutions to traveller pain points will be crucial to influencing corporate travellers to make better choices about their trips and increase the effectiveness of a corporate travel programme. Nicole Adonis is General Manager at FCM Travel Solutions South Africa.